The Certificate Course in Environmental Education was developed in Jordanhill by the Overseas Unit directed by Jim Dunlop. Over 16 years students ranging in diversity from university professors from Thailand to game wardens in Botswana attended. This was always a fascinating course to teach because of the breadth of background, interest, and experience of the participants. Storyline proved to be a popular element in the environmental programme and has been adapted by health educators in Nepal, WWF officers in Pakistan, environmental workers in Brazil, Slovakia, Goa, Sri Lanka, Greece and Thailand. It has also played a significant part in teacher training courses in Botswana, Nigeria and Cameroon. An invitation to Thailand, in June 1998, from alumni of this Jordanhill course resulted in the presentation of three workshops. 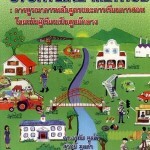 The general theme was the application of the Storyline Approach in Environmental Studies. The first course was for three days with fifty people and was held in Chulalongkorn University at the invitation of the Division of Academic Affairs in co-operation with the Centre for Environmental and Global Education (CEGE) in the Faculty of Education. The visit was supported by a travel grant from the British Council. Following from this were two one-day courses – the first in Chulalongkorn University with fifty participants who were either final year students or first year teachers and the second with 150 teachers in the Institute of Education in Phranakhon. One of the former students of the certificate course Dr Orathai Moolkum is now the co-director of the Dawn Project. This is a national organisation which is training 23,000 teachers in using Storyline to educate about environmental concerns. 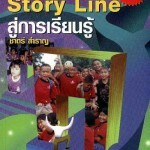 The project is designed to last four years and Orathai and her husband Dr Suwit Moolkum, director of education for Phuket, have written a supportive teachers’ book called Child Centred – Storyline Method. The Dawn Project, whose co-director Orathai Moolkum presented at the Aalborg International Storyline Conference in November last year, was completed in April with five seminars and “The Dawn Fairs” in five different areas of Thailand. The main objective was to present to the public how to raise awareness of environmental education in schools and communities for sustainable development. They thought it was successful because more than 50,000 teachers, students, NGOs and people participated in these seminars/fairs. From now this project will be integrated in the action plan of the Ministry of Education. 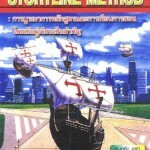 Storyline Method Book 2 has been published in July. It contains more details about how to teach storyline in elementary and lower secondary level, how to integrate curriculum & instruction, some examples of teaching plan, and reports on two action researches of storyline in secondary school in 2000.